crafting is resilient to all of the modern gadgets and continues to be reborn. Happy New Year. I needed to create a ball of cotton for knitting. As I needed 350 gr for the project, I kept weighing the huge ball. 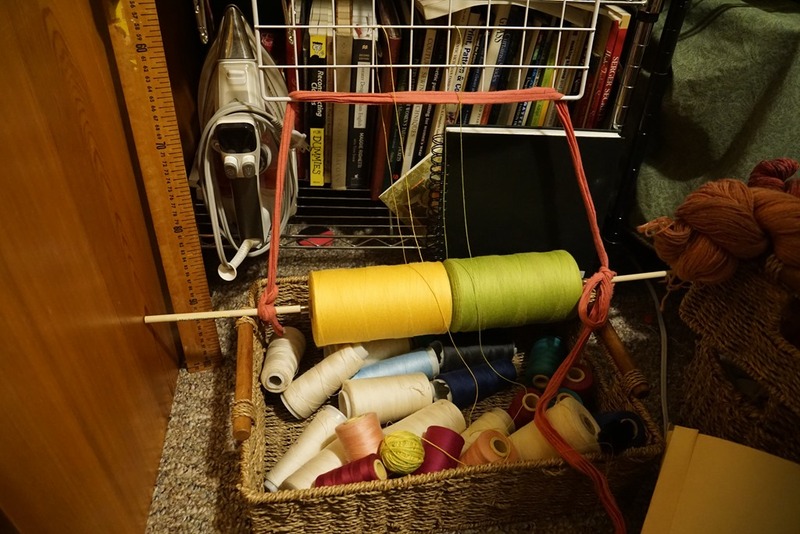 I was gifted some years back with more than a dozen spools of weavers cotton from the 1960. 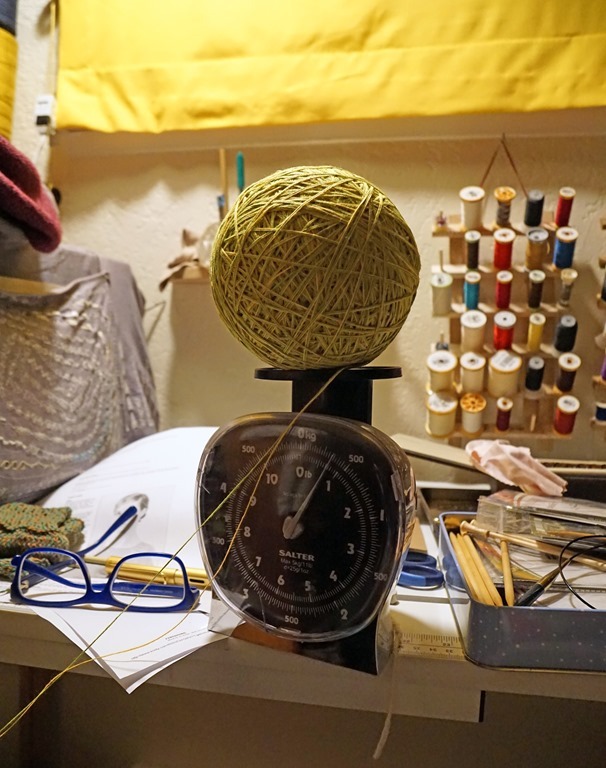 The cotton is a lace weight and my Gemini Pullover by Jan Richards needed a heavier weight. So, I matched two colors, rigged a rack and some poles to easily create the above ball of cotton.